Home Blog Yes, Virginia. Walls DO Talk. Abbey Johnson’s Latest Book Proves It. Yes, Virginia. Walls DO Talk. Abbey Johnson’s Latest Book Proves It. I haven’t thought about Kathy in a very long time. 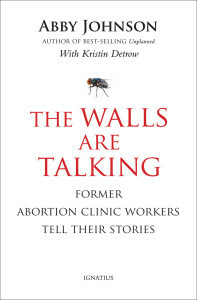 Now, Abby Johnson’s newly released book, The Walls Are Talking: Former Abortion Clinic Workers Tell Their Stories (Ignatius Press, $17.95) has got me thinking about her all over again. Kathy was a young woman who actually worked with my mom, and that’s how I got to know her. Mom had taken Kathy under her wing, so to speak, and so she became a part of my life as well. Even though she was several years older than I was, we became friends. Then one day, she took me aside and told me she had something important to tell me. I had no idea what to say. I was only 17 years old and had no experience with abortion whatsoever. “Are you sure?” Was all I could muster. “Yes, I’m positive I’m pregnant,” Kathy said. “No, I mean – are you sure about the abortion?” I asked. I didn’t have much to say after Kathy’s abortion either. It wasn’t because I didn’t care; it’s because I just had no idea what to say. She was older than I was, right? She should know better than me, right? After the abortion, Kathy was different. I could never really put my finger on it at the time. But, now I believe it was a deep sadness and perhaps depression. I worried about her, but figured that since she was older and more mature, she’d find a way to work herself out of it. A few months later, she told me that she’d be moving away but she didn’t want to tell me where she was going. I’ve kicked myself around an awful lot since the day Kathy told me she planned to abort her child. Why didn’t I try to talk her out of it? Why didn’t I try to help her somehow? Why didn’t I try harder to reach out to her after the abortion? Those questions and more went round and round and round in my head. Sometimes it bothered me to the point of being nauseous. Kathy aborted her baby. And I did nothing about it. So, when I read Johnson’s book, I felt a connection to each of the 17 former abortion clinic workers who told their stories. No, I was not involved in the abortion industry as were these individuals. Still, I stood by and watched as something unfolded that I knew was wrong. So did they. At first. Johnson came up with the idea for The Walls Are Talking after watching the HBO movie, If These Walls Could Talk, starring Demi Moore, Sissy Spacek, and Cher. It’s a blatantly pro-abortion film, tracing the lives of three generations of women who lived in that house. All of them experienced unintentional pregnancies and how all of them would’ve been better off had it not been for the legal constraints and societal views of each decade that restricted or hindered their ability to obtain abortions. It’s the highest rated made-for-TV movie to date. It’s also unadulterated propaganda. Johnson uses her book to prove that walls do indeed talk and that those talking walls disprove they lies and misconceptions woven throughout the entire abortion industry. “The delicate subtlety this movie employs is both ingenious and insidiously effective. Young viewers who haven’t been taught to think critically or spent much time considering the complex issue of abortion scarcely stand a chance against the highly sympathetic characters portrayed in If These Walls Could Talk . The unwanted pregnancies seem impossible and abortion the only sensible answer,” Johnson wrote in her introduction. Through each of the stories, Johnson demonstrates how truly sense less abortion really is. They are starkly honest, compelling and – truth be told – difficult to read. That’s not anything to do with Johnson’s eloquent writing style; rather it’s the subject matter and the horrifying reality of what goes on behind the doors of abortion clinics across the country. And it’s all about making money. Consider the failed late-term abortion of Jessica. She sought an abortion at 20 weeks gestation. Halfway through the process, she regretted her decision and begged the clinic doctor to help save her baby. Not only did he refuse, but he became abusive and angry, forcing her to complete the abortion. “As an idealistic clinic insider, it was easy for me to believe the canned facts disseminated by the powers that be,” testified a clinic supervisor who had witnessed Jessica’s abortion. “When the nation’s largest abortion provider claimed that abortion represented only 3% of the services they provided, I doggedly embraced that ‘fact’. When anyone voiced opposition to my career, I shared it proudly. I was not in the business of abortion. I was in the business of providing quality healthcare to women. Johnson also shows how botched abortions are covered up and hush money given to hide the facts. Lily is just one example. Her abortion went awry, and her uterus began to bleed profusely after the baby had been removed from her womb. 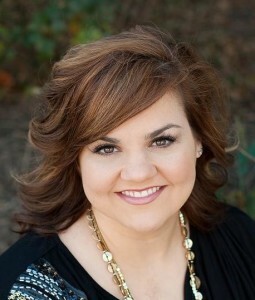 It was so severe, that she nearly died on the table in the abortion clinic. Clinic staff let her father fret in the waiting room for more than five hours, all the while lying to him that they were simply behind schedule in cases. In the end, Lily and her father left the clinic without ever knowing what had really happened since Lily had been heavily sedated and would never remember. While the stories in The Walls Are Talking are hard to take, they’re even harder not to take. The lies, greed, deception, and godlessness must be revealed. The walls absolutely must be allowed to talk. And they do in Abby Johnson’s masterpiece. The Walls Are Talking is about bringing the truth to light. It’s also a book of great hope. For, within its pages, Johnson gives encouragement and support for post–abortive women and men and to abortion providers and clinic workers who seek a way out of the industry. Was It Politically Correct to Choose Harriet Tubman for the $20 Bill?